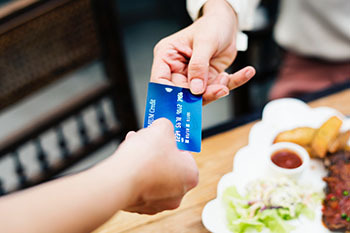 The small business credit card with big benefits. Savings Bank of Danbury is a community bank that recognizes our area’s small business requirements. And we know that you need big benefits from your business credit card. With a Visa® Platinum Small Business Credit Card from Savings Bank of Danbury, you have flexibility, freedom and security. And you can count on personal service and hometown convenience with a powerful card that’s accepted around the world. 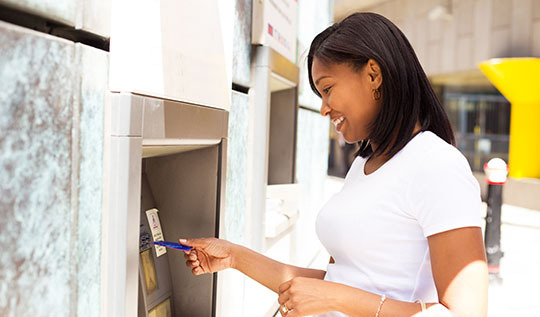 Enjoy no annual fee and add your employees as authorized card users at no extra charge. So you can better track expenses and reduce petty cash needs. We offer two types of Visa® Platinum small business credit cards.